If you prefer peaceful solitude surrounded by mountains or a great ocean front beach house, contact The Eyman for your next vacation spot. 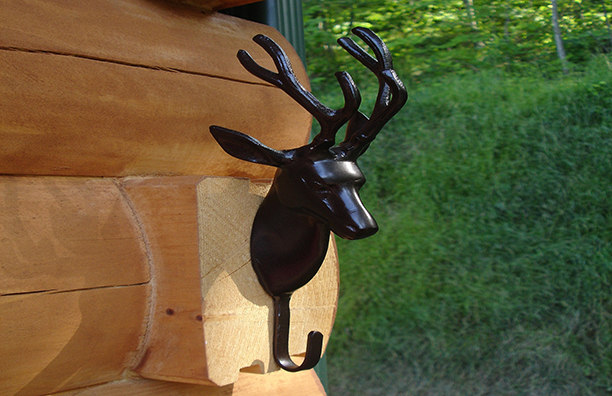 A BUCK’S RUN – The newest cabin completed in 2016, this cabin is spacious with great views. Sleeping six comfortably, you will thoroughly enjoy the fabulous deck and wonderful hot tub. This is a great get-away retreat right in the shadow of the Shenandoah Mountains. 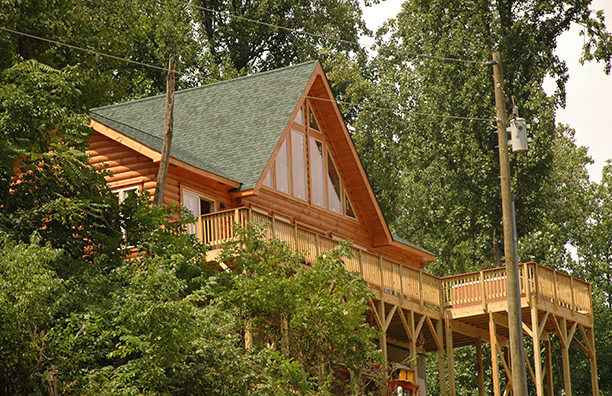 Click Here for Video A BUCK’S PEAK – The best log cabin in Jewell Hollow, Luray Virginia, Yes, it is ADA compliant for our wounded warriors and others. Located near the entrance of the Shenandoah National Park, this cabin sleeps ten comfortably and the hot tub sits out on the deck with a super view. Click Here for Video A BUCK’S VIEW – Secluded Get-Away from the weekly grind, this cabin was built in 2014 and ready for your family and friends; Warm, inviting, spacious with all the amenities of a luxury hotel, A Bucks View sleeps six comfortably and there is a great hot tub. EY BELIEVE – A fabulous ocean front home for rent with 7 bedrooms and 4 baths. 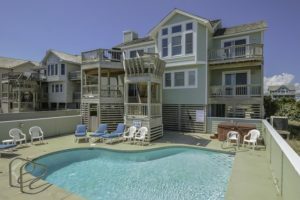 This Nags Head home (mile marker 15ish) sleeps 14 with a kids game room, plenty of out door deck space and a super hot tub and pool. This is the right beach vacation home for your family or group of families! 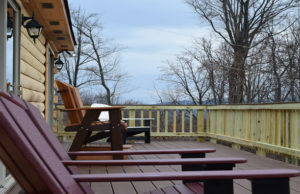 All cabins have fenced-in dog runs, fire-pits, propane and charcoal grills and great hot tubs. Our beach home offers a gas grill and an indoor fireplace with plenty of parking. All properties offer a military discount. Please ask for it. For more information, view the availability calendar and to book a property please click on the building’s photo.